What happens when labor begins? 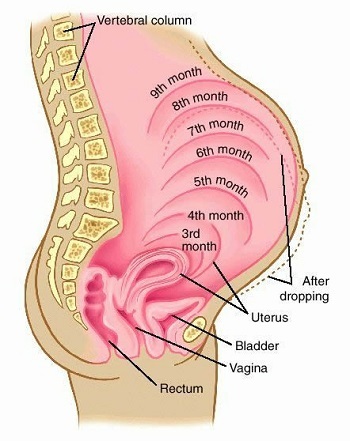 As labor begins, the cervix opens (dilates). The uterus, which contains muscle, contracts at regular intervals. When it contracts, the abdomen becomes hard. Between the contractions, the uterus relaxes and becomes soft. Up to the start of labor and during early labor, the baby will continue to move. Your uterus may contract off and on before “true” labor begins. These irregular contractions are called false labor or Braxton Hicks contractions. They are normal but can be painful at times. You might notice them more at the end of the day. How can I tell the difference between true labor and false labor? Usually, false labor contractions are less regular and not as strong as true labor. Sometimes the only way to tell the difference is by having a vaginal exam to look for changes in your cervix that signal the onset of labor. If you have further questions, contact your obstetrician-gynecologist or schedule an appointment with Embry Women’s Health.